Solar incentives can significantly reduce the cost of your home PV system. If you take advantage of every tax credit, rebate and grant available for switching to photovoltaic power, you can potentially save up to 50 percent of the total system cost. How do you find these financial incentives? The most reliable way is to ask your photovoltaic contractor. Professional installers such as Intermountain Wind & Solar have all the information you need. Although available solar financial incentives differ by region, they share some basic characteristics. The biggest solar incentive — the federal solar investment tax credit (ITC) — cuts photovoltaic installation costs by 30 percent. Every homeowner who purchases a PV system is eligible. The federal ITC reduces your income tax liability for the year following home PV system installation. If you don’t owe the IRS the full tax credit amount, the balance can be carried over and claimed on next year’s taxes. However, this amazing incentive won’t be around forever. You can only claim a 30 percent tax credit until the end of 2019. After that, the percentage steps down each year. PV system installations completed in 2020 are eligible for a 26 percent credit, and those that are up and running by the end of 2021 can claim 22 percent. After that, the federal solar ITC will be gone. Homeowners throughout the Intermountain West can save thousands more on PV system installation, thanks to state and local financial incentives. Different states, regions and utility companies have different offers. So although we can’t list every solar incentive here, finding your area’s rebates, grants and tax credits for photovoltaic power adoption is easy with DSIRE. DSIRE is short for the Database of State Incentives for Renewables & Efficiency. Funded by the U.S. Department of Energy, DSIRE maintains a comprehensive, current listing of every available renewable energy incentive, along with application instructions and eligibility details. Simply click on your state and you’ll find all of the information you need. Do You Need Help Claiming Your Solar Financial Incentives? At Intermountain Wind & Solar, we make it easy to claim your grants, tax credits and rebates. Once your photovoltaic power installation is complete, we’ll give you a binder filled with all of your PV system information. Manuals, warranties and other important paperwork are included — and so are the documents you need to claim every available financial incentive. However, if you need help, we’re here. We’re not tax experts, so you may still want to see an accountant or tax professional. But our team can answer your questions and help you complete your application forms. 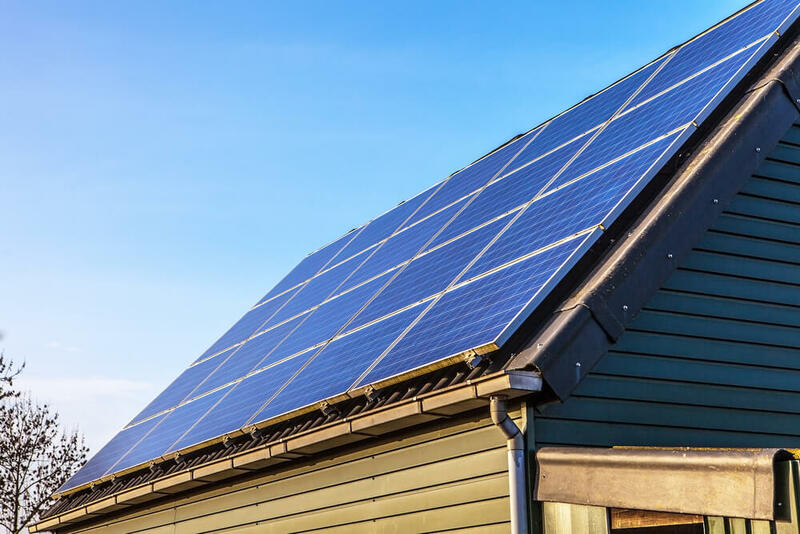 The professionals at Intermountain Wind & Solar, the region’s leading residential PV system installers, can tell you everything you need to know about saving with photovoltaic power. Contact us today to learn more about the solar incentives available in your area. Solar energy installers are multiplying quickly across the Intermountain West. If you’re planning to make the move to photovoltaic (PV) energy, it’s important to choose a qualified photovoltaic contractor who is licensed to work in your state. Industry experts recommend looking for a professional solar installer with NABCEP certification. What Is NABCEP Certification and Why Is it Important? NABCEP stands for the North American Board of Certified Energy Practitioners, a nonprofit group committed to supporting the PV industry through impartial credentialing and certification programs. The members of NABCEP include representatives of renewable energy organizations and educational institutions as well as state policymakers and individuals with industry expertise. Why Is NABCEP Certification Important for Solar Energy Installers? Certification from NABCEP is the gold standard of qualifications for photovoltaic installers. Solar energy installers must meet specific qualifications and pass an examination in order to be certified by NABCEP. Photovoltaic contractors who don’t have certification may not have the knowledge, training and skills to successfully handle a PV installation. Hiring a certified solar installer gives you the confidence that you’re investing in a high-quality residential or commercial photovoltaic project. Why Should You Trust NABCEP Certification? Getting certified by NABCEP is a voluntary. No state or federal agency compels solar installers to obtain certification. A photovoltaic contractor with certification has gone above and beyond what’s required, demonstrating a solid commitment to maintaining quality and integrity with every solar PV installation. A PV installer’s NAPCEP certification status helps consumers to identify the most highly capable professionals. Industry experts consider certified contractors to be the most qualified to complete residential and commercial photovoltaic power system installations. As the leading photovoltaic power provider for the Intermountain West states, our PV installation professionals are certified by NABCEP. And unlike some other local photovoltaic solar energy contactors, we never outsource work to independent contractors. We complete every part of every installation — from planning and design to mounting and wiring the components — with our expert in-house staff. Many national contractors also have certification from NABCEP. However, working with a local solar installer offers several advantages. Local photovoltaic contractors such as Intermountain Wind & Solar understand the regional rules governing PV system installation — and they know all the resources and financial incentives that make your solar project as cost-effective as possible. Intermountain Wind & Solar specializes in installing affordable and effective photovoltaic power systems for homeowners and businesses throughout the states of Idaho, Utah, Nevada, Colorado and Wyoming. To schedule a free, no-hassle solar energy installation consultation, or to discuss our NABCEP certification and other qualifications, contact us today. Photovoltaic Energy Systems: Can You Install One on a Metal Roof? Photovoltaic energy systems are versatile, working in just about any rooftop location you can imagine. But can you install a power-generating system on a metal roof? PV system installation on most roofing materials involves bolting the solar panels through the shingles to the roof joists. Metal roofs, however, require specific solar panel attachments and installation techniques to make sure that the rooftop remains structurally sound and watertight. To properly place a photovoltaic system, experience is a must. How easy or difficult it will be to complete a photovoltaic energy installation depends on the type of roof you have. If you have a standing seam roof, you’re in luck, because installing a photovoltaic system on your rooftop should be a relatively simple procedure. And since no drilling will be involved, the integrity of your roof won’t be compromised. With this type of roofing material, special clamps are used. The solar panels are attached to the roof seams, but the clamps don’t actually penetrate the seams. Instead, the hardware provides an incredibly tight squeeze, which holds the PV modules securely in place. Mounting solar panels on metal roof shingles is slightly more challenging. Metal shingles may look just like asphalt, slate or clay, but they require extra care during PV system installation to keep the roof watertight. For conventional roof shingles, professional photovoltaic contractors add flashing and apply a sealant for protection against water infiltration. With metal roofing shingles, the solar installer must take additional precautions. Water runoff points may need to be created under the flashing, and double or even triple the amount of flashing may be required for a watertight seal. Regardless of whether you have a standing seam roof or metal roof shingles, look for a 07professional photovoltaic contractor with experience in metal rooftop photovoltaic installations. Since these roofing materials aren’t all that common in the Intermountain West states, many contractors do not have the necessary skills and experience to safely and securely complete your PV installation — and you don’t want to be anyone’s guinea pig. The professional team at Intermountain Wind & Solar, the region’s leading photovoltaic installer for nearly a decade, has extensive experience working on metal roofs. We understand the challenges of mounting solar panels on metal roofing, and we can complete a PV installation without compromising your rooftop’s structural integrity. Intermountain Wind & Solar offers free consultations to homeowners and businesses throughout Idaho, Utah, Nevada, Colorado and Wyoming. Contact us today to discuss a photovoltaic energy system installation on your metal roof. What Is a Solar Carport? And Should You Install One? Essentially, a solar carport is a just like any other open-sided parking shelter, except that the surface is covered in photovoltaic panels. Why would you want to install a solar carport? One compelling reason is that these innovative structures offer numerous benefits to both businesses and homeowners. But that’s only one reason solar carports are becoming more popular across the Intermountain West. Why not put the parking lot to work creating free electricity? That’s the question more and more companies are asking, and the reason the concept of the solar carport is really taking off among Intermountain West business owners. However, businesses aren’t just installing carports to harness the sun’s energy. The real attractions are the side benefits these structures offer. A carport keeps vehicles cooler during the sweltering summer months, which is a definite advantage, given that summers have been getting hotter. Plus, during rainy and snowy weather, a carport offers drivers additional protection against the elements. Intermountain West homeowners are installing solar panels on carports for the same reasons — free electricity and shelter from the elements. However, homeowners aren’t just using these structures for their cars. Some install a carport as a photovoltaic-powered shelter for boats and other recreational vehicles. Others use them for backyard shade or as a pool cabana. For homeowners, the installation options are seemingly endless. Is a Solar Carport Right for Your Home or Business? When compared to rooftop and ground-mounted PV projects, installing photovoltaic panels on a carport can be more expensive. The added cost is primarily due to the extra materials and labor required to construct the framework. If your rooftop isn’t suitable for photovoltaic panels, a solar carport could be a good alternative to a ground-mounted system. You’ll get a source of free electricity as well as usable, protected space underneath. Whether a carport installation is right for you depends on your specific circumstances and photovoltaic project goals. Given the advantages, however, adding solar modules on a carport is often a good investment, and well worth the extra cost. Many professional PV contractors in the Intermountain West don’t offer installation of photovoltaic systems on carports. To evaluate your best option for residential or commercial PV power, you’ll need to choose a contractor that provides a full range of solar installation services. Intermountain Wind & Solar, the region’s leading professional PV contractor, has extensive experience with rooftop, ground-mounted and hybrid photovoltaic systems. And we’re one of the few companies that provides solar carport installation throughout Utah, Idaho, Colorado, Nevada and Wyoming. To schedule a free consultation, contact us today. Does Rooftop Solar Maintenance Require Professional Assistance? Before investing in a rooftop solar array, you’ll want to know what ongoing expenses to expect. The photovoltaic (PV) panels and inverter come with warranty coverage, but what type of maintenance is required to meet the terms of the warranties? Will you need to hire a solar professional to take regular care of your photovoltaic system? Photovoltaic arrays are designed to be hands-off, and routine rooftop solar maintenance is not necessary. Unless a system component breaks or stops working, you won’t need to call in a professional. A rooftop photovoltaic system can — and should — produce energy for decades without any maintenance. You will need to replace your solar power inverter at the end of its life cycle, but none of the photovoltaic components have moving parts that need to be serviced, oiled or cleaned. Since nothing is mechanized, you don’t need professional solar maintenance. Will your solar panels get dirty, sitting up on the roof, constantly exposed to the elements? The PV module glass is very slippery, which means that debris tends to slide right off. Rain and melting snow do a good job of keeping the rooftop panels clear, so you don’t need to pay a pro for periodic rooftop solar panel cleaning. What if you live in an area with lots of dust and little precipitation? Won’t you have to hire a solar professional to regularly clear away the accumulation? According to rooftop solar research published in Solar Pro magazine, even the hottest, driest, dustiest regions don’t see significant loss in energy production from dust or dirt accumulation. Dust isn’t enough of an issue to make regular cleaning necessary or even worthwhile. If you really want to keep on top of rooftop solar maintenance so that your photovoltaic system is in the best possible shape for optimal energy production, you could occasionally clean the modules. But you won’t need to hire a pro for the job. To get rid of stuck-on grime and any lingering snow accumulation, just use a soft brush or squeegee on an extension pole. Take care never to spray cold water on the panels, however. If the panels are warm from the sun, you could crack the glass and potentially violate the warranty. The professional team at Intermountain Wind & Solar, the region’s leading PV installer, can give you expert tips on making the switch to photovoltaic power easier and more affordable. Schedule your home PV installation with us, and you’ll never have to budget for routine maintenance. Contact us today for a free rooftop solar consultation anywhere in Idaho, Utah, Colorado, Nevada or Wyoming. A home solar energy system can create enough electricity to meet your household needs — if the system is sized correctly. An online calculator can give you an estimate of how many solar panels you’ll need to harness an ample supply of energy from the sun. However, it won’t tell you whether your rooftop has sufficient space to hold that number of PV modules. So how can you tell if your roof can handle an appropriately sized solar energy system? Your best resource for information is a local professional photovoltaic contractor, such as the experts at Intermountain Wind & Solar. But to get a general idea, you can use the handy guide below. How Much Open Roof Space Do You Have for a Solar Energy System? If you want an exact calculation of your available roof space, you could climb up and measure all the open areas. If you’re not a fan of that plan, don’t worry. Google’s Project Sunroof website can easily take care of the calculations for you. Type in your address, and the online tool will use high-resolution satellite imagery, along with the computing power of Google Maps, to determine how many square feet of rooftop space you have available for a home solar energy system. How Many Solar Panels Will Fit in that Space? Let’s say the Project Sunroof tool measures 285 square feet of available rooftop space on your home. How does that help you figure out if you can install the necessary number of solar panels? PV modules, on average, measure about 3 feet by 5 feet. That means each one needs about 15 square feet of space. If you take your amount of open roof space and divide by 15, you’ll find out approximately how many solar panels will fit. In our example, this works out to be 19. What if You Need More Home Solar Power? After reviewing your options for solar panels, let’s say you’re leaning toward installing 285-watt PV modules. Continuing our example, how much electricity will 19 of them produce? Will it be enough? A bit of easy math can tell you the answer. First, since home solar energy systems are measured in kilowatts, you’ll need to divide that 285 watts by 1,000. That tells you that each photovoltaic module will produce 0.285 kW of electricity. Now, multiply that number by 19, and you’ll find the total power production. In this scenario, your rooftop can hold a 5.415 kW home solar energy system. But what if that’s not enough to meet your household energy needs? You could try reducing your electricity consumption. An online or professional home energy audit can provide suggestions for making your home more energy-efficient. If you’d rather not make any changes to your lifestyle, you may want to consider installing ground-mounted PV modules instead of (or in addition to) a rooftop solar energy system. The best way to determine exactly how much photovoltaic energy you can produce at your home is to talk to a professional solar installation contractor. The team at Intermountain Wind & Solar can design and install a cost-effective photovoltaic array to power your Utah, Idaho, Colorado, Nevada or Wyoming home. To discuss your home solar energy system options, contact us for a free consultation today. Before Installing a Solar Array, Should You Replace Your Roof? Are you planning a rooftop solar array installation? If so, the condition of your roof matters. If the structural integrity of your roof is significantly compromised, mounting PV panels could pose a risk. Replacing your roof is costly, so you don’t want to do it if it isn’t necessary. Reputable photovoltaic contractors such as the Intermountain Wind & Solar team won’t install PV panels on a roof that’s in poor condition. Photovoltaic modules are designed to create electricity for decades. If a roof develops problems after solar installation, the homeowner may have to pay to have the solar array removed before repairs can be made. Given the added cost, it simply doesn’t make financial sense to mount PV panels on a damaged roof. If you know your roof has a problem, contact a local roofer for repairs or replacement before scheduling a solar array installation. Are You Certain Your Roof Is in Decent Condition? Maybe you don’t have any roof leaks, and your photovoltaic contractor didn’t notice any obvious signs of damage during your home PV consultation. Does that mean you can go ahead and install a rooftop solar array without any worry of future structural issues? Professional solar contractors aren’t roofers, and roofing damage isn’t always easily visible. So a problem could go unnoticed and you could end up footing the bill to have your PV panels removed and reinstalled if you need repairs or replacement later on. To play it safe, schedule a roof inspection with a local professional roofer before installing a solar array. What if You Don’t Want to Budget for Roof Repair or Replacement? Let’s say your roof is damaged. You want to go solar, but you’re not ready to pay for roofing repairs or replacement along with photovoltaic installation. Will you have to wait? Not at all. If you have a sunny spot in your yard, you could consider installing a ground-mounted solar array. Ground-mounted systems are highly efficient, as they can be placed at the optimal angle and direction for maximum electricity production. Go with ground-mounted PV panels, and you can go solar now — without taking care of your roof first. If your roof is in good shape now, you’ll want to keep it that way, and that means hiring an experienced solar contractor. The professionals at Intermountain Wind & Solar, the region’s leading photovoltaic installers, have the knowledge, training and skills to mount PV panels without compromising rooftop integrity. The Intermountain Wind & Solar team also has what it takes to install efficient, cost-effective ground-mounted photovoltaic systems. So if your rooftop can’t handle PV panels right now, our expert team can still help you make the switch to photovoltaic power. To discuss solar array options for your Utah, Nevada, Colorado, Wyoming or Idaho home, contact us today. Home Solar Panel Systems — Save 30 Percent! The idea of saving 30 percent on a new home solar panel system sounds too good to be true. It must be some kind of gimmick, right? It is not a gimmick. The federal solar investment tax credit (ITC) can cut your photovoltaic costs by a full 30 percent. As long as you own your home PV system and you pay federal taxes, you’re eligible for this lucrative financial incentive. The federal solar tax credit reduces your income tax liability by an amount equal to 30 percent of your net photovoltaic costs. To calculate your solar ITC, simply take your total equipment and installation charges and subtract any state or local financial incentives you receive — that’s your net cost. Take 30 percent of that number, and you’ll have your tax credit amount. So let’s say you purchase a home solar panel system for $22,000. Then you receive a state rebate of $2,000. Your net photovoltaic costs would be $20,000, and your ITC would amount to $6,000 ($20,000 x .30 = $6,000). What if You Don’t Owe Enough to Claim the Full Solar Tax Credit? Now consider your tax liability. Let’s say you owe $7,500 in taxes next April. The $6,000 solar ITC from our example above would drastically lower that amount — you’d only have to pay $1,500. But what if you don’t owe that much? What happens if your tax liability is only $5,000? Don’t worry if you can’t claim the full solar ITC — the tax credit can be carried over. Using our example, you’d end up owing nothing this year, and the remaining $1,000 would be claimed on next year’s income taxes. Want to Save Even More on a New Home Solar Panel System? The federal solar tax credit gives you the biggest opportunity to save on your home PV installation — 30 percent off is hard to beat. Even though the federal ITC is the largest financial incentive for switching to photovoltaic power, it isn’t the only one. Many state and local tax credits, rebates and grants are available for home PV system owners. Claim everything you can, and you’ll save thousands more on your home solar array. Ask your photovoltaic installer to point you toward the financial incentives in your area. Or head to the U.S. Department of Energy’s Database of State Incentives for Renewables and Efficiency (DSIRE) website. Here, you can find a comprehensive list of all available offers, along with eligibility details and application information. The photovoltaic contractors at Intermountain Wind & Solar aren’t experts on taxes, so if you need tax advice, we recommend talking with an accountant or tax professional. However, if you only have concerns about filling out your federal solar tax credit paperwork, we can help. We can also let you know about all of the financial incentives available to home PV system owners in the Intermountain West. To find out more about saving money on your home solar panel system, contact us today. Commercial Solar Energy Systems: What Are Your Options? Installing commercial solar energy systems is a great way for companies to create their own electricity. Gas stations, auto dealers, hotels, distribution centers, stores and office buildings are among the many businesses now powered by photovoltaic energy. Because solar power is a flexible energy solution, companies are using it in a variety of ways. Sizes and configurations for the solar projects vary, but most adhere to one of three basic types of photovoltaic system installations. The majority of commercial installations involve roof-mounted systems. A recent report from the Solar Energy Industries Association (SEIA), revealed that more than 90 percent of the companies that adopt photovoltaic power choose to have the systems mounted on a rooftop. Roof-mounted solar energy systems appeal to business owners because they are well-suited to many types of building footprints. And a rooftop photovoltaic array is often the simplest — and least expensive — installation option. The amount of available rooftop space can significantly limit the size of a photovoltaic installation. So companies that require a great deal of electricity typically turn to ground-mounted installations. Ground-mounted commercial photovoltaic systems are highly efficient, as the PV panels can be placed at the perfect orientation and tilt to best harness the sun’s energy. And with enough land, a business can install a solar project of any size. Carport installations are another good choice, as businesses discover the benefits of turning their parking lots into photovoltaic power plants. Installing a photovoltaic parking lot canopy is generally the most expensive route for a commercial project, due to the additional construction materials and labor. But for space-strapped companies, a carport can be an ideal option. Photovoltaic panels placed on a parking canopy can generate enough energy to power the business, and the structure protects the vehicles underneath and keeps them cooler. Some commercial solar carport projects also include electric vehicle charging stations. Free electricity along with covered parking makes a carport installation an attractive option. The professional contractors at Intermountain Wind & Solar, the region’s largest and most experienced commercial solar installers, have the skills and expertise to design an efficient, cost-effective photovoltaic system that meets the energy needs of any business. Our expert team can determine whether a roof-mounted, ground-mounted or carport photovoltaic installation is best for your Utah, Colorado, Idaho, Nevada or Wyoming company. To learn more about options for commercial solar energy systems, contact Intermountain Wind & Solar to schedule a free consultation today. Solar panels do not stop producing electricity during the cold season. Many potential solar adopters put off PV system installation until spring or summer for this very reason, but this notion has no basis in fact. Solar modules generate energy all year long. Photovoltaic power is an investment that will pay off no matter when you plan your installation, so don’t let misinformation stop you from going solar this winter. Contrary to popular belief, photovoltaic modules don’t need warm weather to create energy — they only need sunny weather. Photovoltaic power is the conversion of light into electricity. When the sun’s rays hit a PV panel, photons of light energy knock the electrons in its solar cells loose. As a result, the electrons become energized and begin to flow in a steady electrical current. This process is known as the photovoltaic effect, and it doesn’t need the sun’s warmth. UV rays from the sun are always beaming down, regardless of what the temperature is outside. Since solar panels work with light — not heat — they generate electricity no matter how cold it gets. Solar PV panels not only work during winter — they work better. Winter temperatures improve photovoltaic power output. When it’s cold, solar cells are more efficient at converting sunlight into electricity. Conversely, when PV modules get too hot, they produce less energy. So many industry experts consider a sunny, cold climate to be ideal for PV system installation. What about snow? If the ground is covered, photovoltaic power output may increase — the bright white powder can reflect sunlight back to the PV panels, allowing them to harness more of the sun’s energy. Of course, snow on your PV modules is another story. Anytime a PV system is covered, sunlight can’t reach the panels. When that happens, electricity production stops. Fortunately, snow doesn’t cover PV modules very often. Solar panels are smooth, and most are installed at an angle. Consequently, snow usually melts and slides away rather quickly. Most of the time, winter snowfall doesn’t cause a noticeable dip in photovoltaic power output. However, if a huge blizzard hits your area of the Intermountain West, snow could pile up on your PV panels and block energy production. With a snow roof rake — essentially a squeegee on an extension pole — you can easily remove the accumulation without damaging your solar panels. You don’t have to wait for winter to pass to begin planning your photovoltaic power installation. The sooner your PV modules are up and running, the sooner you’ll begin saving money by generating your own electricity. Intermountain Wind & Solar offers free consultations to residential and commercial customers in Utah, Nevada, Wyoming, Colorado and Idaho. To schedule yours, or for answers to your questions about solar panels, contact us today.